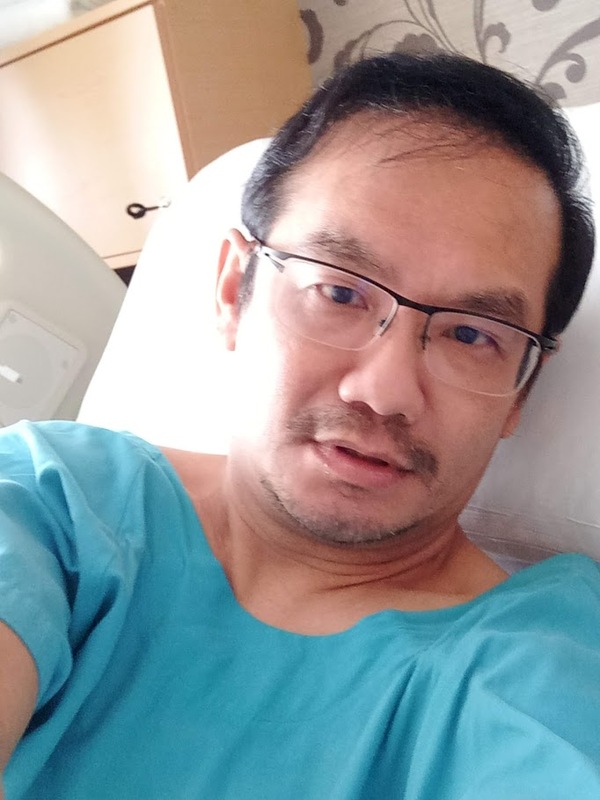 I checked into Mt Elizabeth Hospital (Orchard) just before 0600 on 26th January 2019. 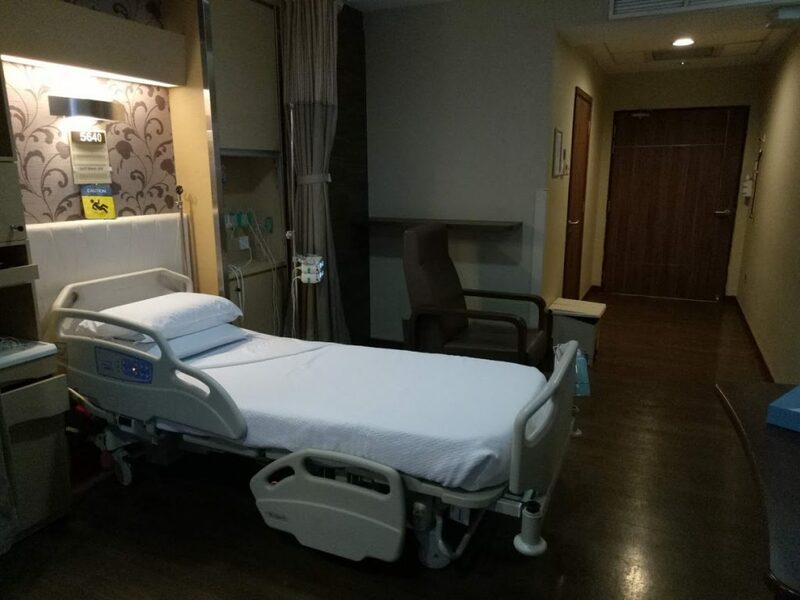 The admissions counter was manned by just one staff, but the service was a lot more pleasant than what I had experienced at the restructured hospitals. Once the paperwork was done, a staff member brought me up to my room. 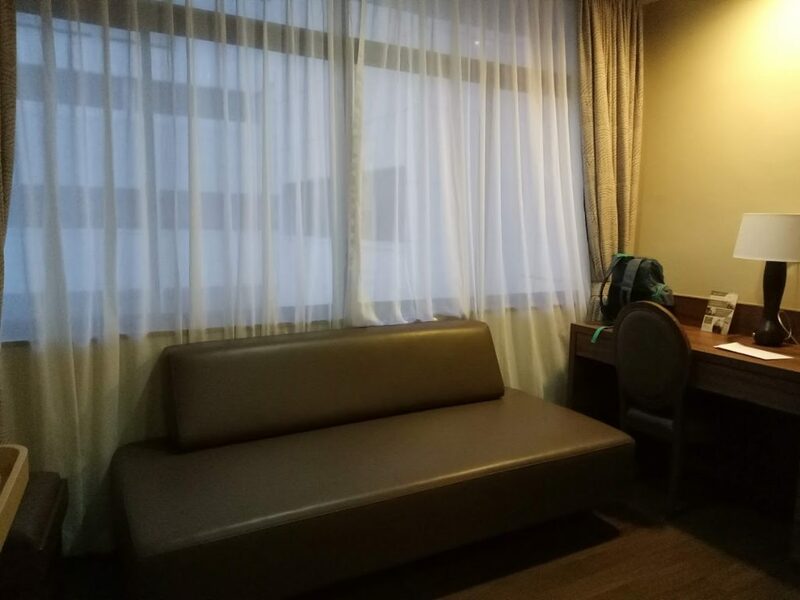 As you can see, it’s spacious, beautifully furnished and visitor-friendly. After waiting for an hour or so, my transport to the operating theatre – a bed with wheels was brought in. I changed into the gown and once I had “boarded”, I was swiftly wheeled into a lift and entered the OT. 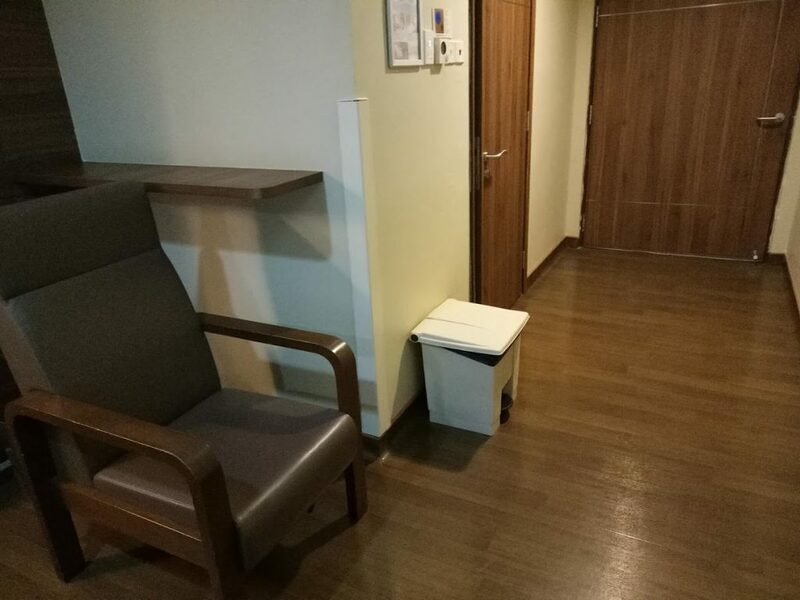 The waiting cubicle had a TV and when a male nurse asked me if I would like to watch TV, I almost wanted to say yao mo gao chor ah but decided not to as he was obviously Filipino. The next weird thing he did was to show me a placard with Dr Sean’s Ng’s name in huge typeface on it, confirming that he’s my doctor. Maybe it should have included his photo as well. 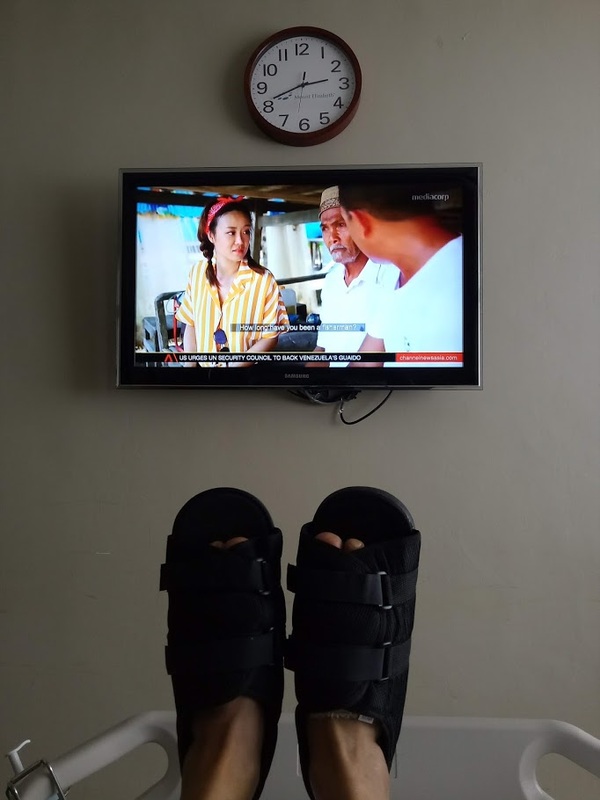 Presently, a Chinese nurse came to confirm my identity, confirm the type of surgery I would be doing (don’t want to get that one wrong) and ask me when my last meal was. She also took my blood pressure and consent for General Anaesthesia. I must say that she spoke much better English than a lot of her fellow countrymen studying in NUS, with an American accent to boot. Dr Sean then showed up and told me that there would be a slight delay as the anaesthetist was delayed due to some miscommunication. He finally arrived, I was wheeled into the OT itself with all the familiar lights and tables. They asked me to hold still as 4 nurses dragged all 68kg of me onto a narrow table. The anaesthetist was Dr Sebastian Chua (I remember!) who reassured me as he placed the IV cannula. Within a minute, I was feeling drowsy. A mask was placed over my nose and mouth and before I knew it, I was out. “We’ll bring you back to your room.” was the first thing I heard when I came to. And the first thing I asked them (I remember) was “What’s the time?” It was about 11.20am (same day, I assumed). The same set of ceiling lights passed above me, I went into the lift and was back in my cosy room. I took a quick selfie. Sorry about the blur. I didn’t want a nurse to pop in and think they’ve got a crazy old man behaving like a teenager, taking a selfie after GA. 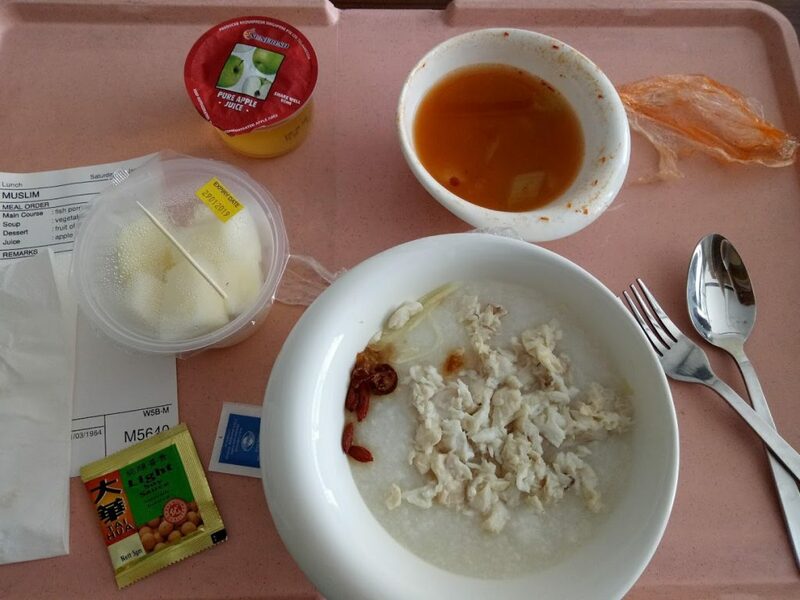 Anyway, call it a late breakfast or early lunch, a nice fish porridge was delivered to me. 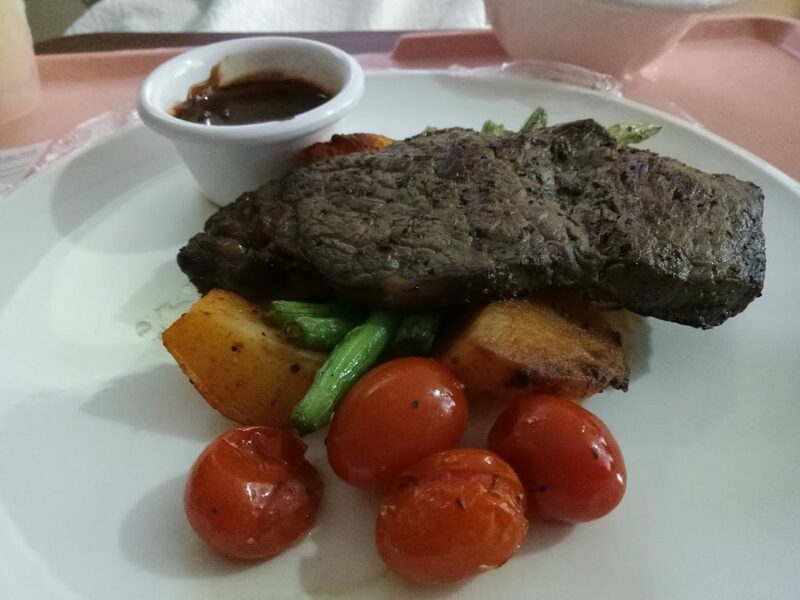 In fact, it was the nicest meal I had at the hospital. Earlier on, the nurse had advised me to have something light as I might feel nauseous after the GA.
No way. I was famished after fasting for so many hours and devoured the last morsel. Apart from the regular blood pressure and temperature taking, I also had IV injections. My feet were bound in thick bandage and these special sandals were strapped over them. Later that afternoon, the physiotherapist and her assistant showed up to help me get on my feet. I got off the bed and started walking with the supporting frame. Then, they took away the frame and let me walk while holding my hand. It was not too difficult, but I had to slowly balance myself on my “rounded” soles. Dr Sean came late in the afternoon to make sure everything was OK. For dinner, I ordered something extravagant. In hindsight, it was probably a mistake. The cook must have tried his best, but the steak was a bit too well done. I should have known that they couldn’t have given me the option to order a wine. Still, credit must be given to Mt Elizabeth. This is as class as hospital food can get. After dinner, I watched a bit of TV, listened to an audiobook on my Audible and fell asleep with the audio still playing, woken momentarily only by the cold rush of IV medication in my hand.